Figure 1. 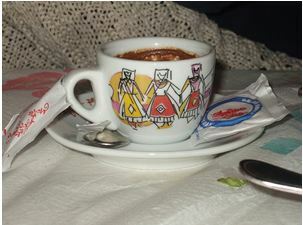 Albanian coffee motif. Figure 2. Café in Block Area inTirana,Albania. Drinking coffee is very important in building proper relationships with government and business people in Albania. 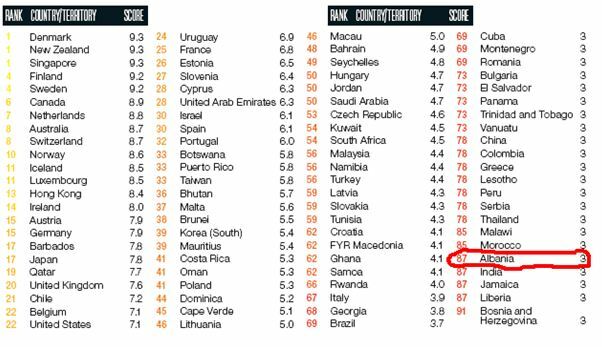 Since, the level of corruption is high according to Transparency International, Albaniais ranked 87 in the Freedom from Corruption Index in the Annual Report 2010 (See Table 1 below). 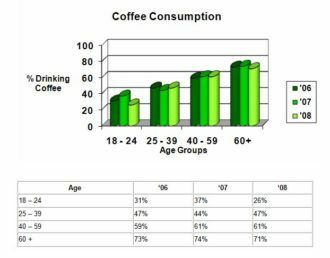 Very often the coffee times are associated with friendly day-to-day conversations about politics, economy and other media emphasis of the day, such as Big Brother Albania show, Money Drop, Who Wants to Be a Millionaire, Albanian’s Got Talent, Dancing with the Stars, etc. Albanians, in their Mediterranean culture, solve most of their problems in the coffee bar and not in their offices. They feel more at ease to talk and ask for advice around a relaxed time with an espresso rather than be confined by a power chair of authority. They like to gossip about the world’s problems: politics and economics, while at times they may hand an envelope full of money in a discrete way to government officials for favors in tenders or bids, unmerited employment, acceptance to universities, inflated grades, healthcare services, etc. Bribery is the prevailing organizational culture inAlbania. Table 1. 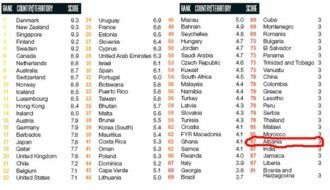 Transparency International Freedom Index ranking (Annual Report 2010). Food is important in Albanian life. Usually after we eat, we drink a coffee or as it is known in Albanian “Kafe.” Albanian dishes have been heavily influenced by Turkey, Greece, Italy, Armenia, and Syria. Recipes have often been adapted and altered to suit American tastes. Albanians enjoy a variety of appetizers, soups, casseroles, pilaf, pies, stews, and desserts. Salads (sallatë) are made with cabbage, lettuce, onions, peppers, olives, and feta cheese. Although, United States are ranked in consumption of coffee per capita no. 27 in the world with 4.2 kg of coffee per person in 2009, behind Finland that is ranked no. 1 and consumes 12 kg per person. According to a study done by Scientists at UCLA and theUniversityofSouthern Californiaand reported on WebMD on February 19, 2009, the more coffee that you drink the less likely you are to ever being diagnosed with a stroke. In conclusion, drinking coffee in Albaniais socially acceptable and is the basis for developing working relationships, while consumption per capita is higher in Nordic countries, as well as in America, compared to Albania, it seems that this cultures do not spend the extra socializing time that comes with drinking coffee. Albanians spend a lot of time sitting in a coffee bar and solve their day-to-day problems by voicing their frustrations and complaining as well as rejoicing over issues of life. So, this is the way one has to work in Albania to share his business ideas by spending time for a coffee. Next articleWelcome to the land of ancient sacrifices!